Sarah Finley is the co-founder of SASI (Social Arts and Science Institute), a consulting firm focused on social media training and employee advocacy. 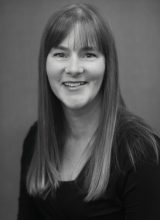 Sarah brings more than two decades of experience in marketing and professional services to her role as member of the Forklift Danceworks board. She also volunteers as a social venture partner at Greenlights, where she works with some of Austin’s most innovative non-profits to scale their organizations and solve our community’s biggest problems. 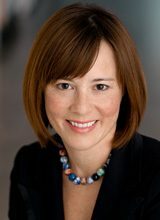 Prior to SASI, Sarah led Dell efforts across multiple digital marketing disciplines and pioneered Dell’s Global Social CRM strategy for the Consumer business. Sarah has a law degree from GWU and a bachelor’s degree from UT-Austin. In her free time, she enjoys dancing wherever music is or isn’t playing, teaching yoga, and traveling the globe. Her twitter handle is @sarahfinley. Michele Martell is an attorney who has worked extensively in the entertainment, consumer products and technology space. Her consultancy firm, Martell Media House, provides business and legal affairs guidance for clients across a spectrum of industries – from film & TV to toys & games to Internet of Things and Big Data. She got her start at The Jim Henson Company, and has worked with brands ranging from My Little Pony to Mr. Men to the WWE. In 2012, Michele helped establish the first Immersive Media (3D/VR/AR) film program in the US, at the University of Texas at Austin, and serves on the Advisory Council for the Denius Sams Videogame Academy at UT Austin. Michele is licensed by the State Bars of California and Texas, and divides her time between Austin, TX and Los Angeles, CA. Michele tweets at @martell_media and documents her Austin experience on Instagram at @martellmichele. Lisa Lee is part of the Butler Nonprofit Consulting team, which offers fundraising and organizational consulting services to Central Texas nonprofits. Lisa has been part of the Austin nonprofit community for nearly 20 years, working in professional fund development roles with organizations such as the Lady Bird Johnson Wildflower Center, St. Edward’s University, Safeplace and the new Austin Children’s Museum, the Thinkery. Lisa received an undergraduate degree from the University of Texas at Austin and an MBA from St. Edward’s University. She has served previously on the board of the Greater Austin Chapter of the Association of Fundraising Professionals (including a term as president in 2006) and as treasurer of Austin Museum of Digital Art. Lisa is a competitive masters rower, and can be found on Lady Bird Lake throughout the year training with her Texas Rowing Center teammates. Also big fan of social dance, Lisa knows just enough to be dangerous on a Latin or country dance floor. Nancy currently works for local non-profit, Big Brothers Big Sisters leading the agency’s finance and operation functions. 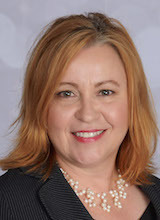 She is a CPA and has 20 years of accounting and operations experience from a wide range of nonprofit organizations and small businesses in the Austin area. 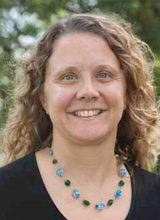 She worked with several boards including at Texas Folklife Resources and The Nobelity Project and has served on the First Unitarian Universalist Church and North Austin Soccer Association boards as Treasurer. Nancy earned her undergraduate degrees in Anthropology and Ancient History from Rice University and has a Master of Public Accounting from The University of Texas at Austin. She has a love of learning and enjoys mastering new skills. In her free time, Nancy enjoys cooking, creating art, and spending time outdoors. She and her husband live in central Austin and have three children. They enjoy being a foster family for kittens from the Austin Animal Center. Her first experience with Forklift was during their Austin Energy project. She loved seeing the pride of the dancers in their creative work. 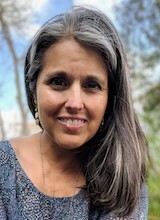 Mirasol Enriquez is an independent film and media producer, editor, scholar, and cultural worker who has devoted her career to community building through film and the other arts. She is a lecturer in the Department of Radio-Television-Film at the University of Texas at Austin and holds a Ph.D. in Cinema and Media Studies from UCLA, an M.A. in Cinema Studies from NYU’s Tisch School of the Arts, and a B.A. in Feminist Studies from Stanford University. Her scholarship focuses on Latina film producers, media production culture, and representations of race and gender in media. 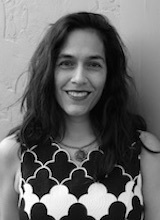 Mirasol’s industry experience includes serving as Director of Community Media at the Austin Film Society, where she oversaw the education programs and spearheaded the Community Media initiative at Austin Public, the community media center AFS manages for the city of Austin. She has also done work for Nielsen Media Research, The Sundance Institute, The National Association of Latino Independent Producers, and the Women in Film Foundation. Her joy comes from collaborating with independent artists to create socially/politically relevant media that empowers underrepresented populations. It also comes from spending time with her husband and daughter, who agreed to leave sunny California to be closer to her family in Texas. James is currently the President and CEO of the YMCA of Austin. Since joining the Y in Austin in 2008 the Y has experienced unprecedented growth through substantial reinvestment in facilities, opening of new facilities and the building of hundreds of community partnerships. James attended San Diego State University where he earned a degree in Recreation Management and Public Administration and began his career as the Director of Health and Fitness with the Kern County YMCA in Bakersfield, California. He then became the Associate Executive Director of the Central branch in Sacramento, California and then moved on to become the CEO of the Maui YMCA where he spearheaded a capital campaign and major building expansion. James returned to California to become the CEO of the Shasta Family YMCA where he spent the next 13 years. While there, he guided the Y through multiple site expansions, growth of a membership base and an increase in operating budget from $400,000 to over $3 million. Always community-minded, James was Vice-President of the Redding Rotary Club; served on the Mercy Hospital Advisory Board, the City of Redding Planning Commission and the City of Redding Task Force, which was charged with building a $5 million aquatics center; and was President of the Shasta Library Foundation, helping to raise $8 million to build a new county library. In his free time, James enjoys swimming, biking, traveling or working on various house projects under the direction of his lovely wife, Annette, to whom he’s been married to for 32 years. They have two adult daughters, Jillian and Bella. Manuel Flores is Chief Popsocologist of Mom & Pops All Natural Frozen Pops, a company he co-founded in 2008. He grew up in the west Texas town of El Paso and graduated with a Bachelor of Landscape Architecture from the University of Oregon. 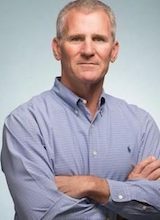 He has over 24 years of experience working in the environmental sustainability sector, and has worked for various local and state governments in both Texas and Washington State. He is an alum of Forklift Danceworks, having performed in Trees of Govalle while working as a horticulturist supervisor with the City of Austin, Urban Forestry Program. 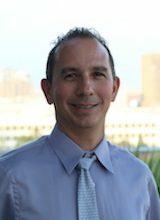 As often as possible, Manuel enjoys camping with his children, playing & coaching volleyball, and enjoying the craft foods & spirits of Central Texas. Adriana Graf attended Austin College in Sherman, TX and earned a B.A. in Business Administration. She went on to the University of Texas and received her Master of Professional Accounting degree. She obtained her CPA license and worked for public accounting firms and in industry for a total of 15 years. She has spent the bulk of the last 20 years raising her two children, who are now both in college. During their school years she served as treasurer for the elementary and middle school PTAs as well as the treasurer for the high school band boosters. Adriana’s hobbies include exercising, traveling, cooking, spending times outdoors, and binge-watching a good Netflix series. Her favorite times are spent with family and friends. 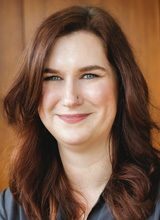 Cybil is the VP of Donor Relations at the Austin Community Foundation where she develops strategies and systems to ensure clients have an exemplary experience. She works with the foundation team to connect donors with the causes they care about and to make a difference in the lives of Central Texans. Cybil’s background is in Arts Education and Public Art. Most of her career has been spent developing experiences for Museum-goers. The work of Forklift resonates with her own creative endeavors, which have included public art projects in partnership with Capital Metro, a pedicab driver, and dancers on Segway scooters. She has been following Forklift since she moved to Austin in 2004, and remembers a mom and baby stroller project catching her eye early on. The intro sequence of Trash Dance brought her to tears, and she still can’t identify why. Her favorite Forklift memories include taking her kids to Trees of Govalle and Bartholomew Swims. She lives in East Austin with her two elementary-age children, architect husband, and dog. In her free time, she enjoys hiking, running, and biking. 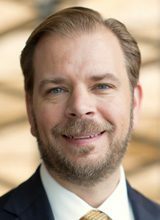 Heath joined King Abdullah University of Science and Technology (KAUST) in May 2015 as the first Center Manager of the Upstream Petroleum Engineering Research Center. KAUST is a graduate research university located in the Kingdom of Saudi Arabia. Between 2006-2015, Heath managed fundraising and corporate relationship activities for the University of Texas at Austin, first as Associate Director for Corporate Relations in the Engineering Foundation, and most recently as the Director of External Relations for the Department of Petroleum & Geosystems Engineering. Before joining the University, Heath worked for Skillpoint Alliance (formerly Capital Area Training Foundation), an Austin-based nonprofit with the mission of improving workforce systems in Central Texas. From 1998-2000, he coordinated Research Programs for The Center for Laser and Photonics Research at Oklahoma State University. A graduate of Leadership Austin (2005-6) and 2009 McBee Fellow in the Austin Area Research Organization, Heath served on boards for the Austin Museum of Digital Art, Manor Education Foundation and Greater Austin Hispanic Chamber of Commerce Education Foundation. Heath graduated from Oklahoma State University with BA and MA degrees in English, and is a Certified Fund Raising Executive (CFRE). Heath and his wife Kimberly live on the coast of the Red Sea north of Jeddah, and have been seen doing happy dances when they master a new word in Arabic. Julie Remde is a co-founder and producer at Palate Films, a video production company that focuses on food, travel and lifestyle branded content for the web and broadcast. She also works at Butler Nonprofit Consulting where she’s an associate consultant focused on fundraising. Previously, Julie worked at both Lincoln Center for the Performing Arts and the Michael & Susan Dell Foundation. In her professional and personal life, Julie is the consummate project manager – moving everyone forward toward a common goal while navigating all the bumps along the way. She has a B.S. from Santa Fe University of Art & Design, a J.D. from The University of Texas School of Law, and is a 2015 graduate of Leadership Austin Emerge. She and her husband Christian have one daughter, Lucy, who makes them most proud when she takes a Star Wars book to bed at night. Julie’s been dancing as long as she can remember. Current performances can be seen during her daily commute as she spices up Austin traffic. 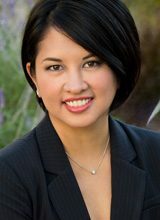 Jennifer Wijangco joined the stellar team of the Houston Grand Opera in late 2014 to lead the Opera’s individual giving program. Prior to her work at HGO, Jennifer was Senior Head of Advancement for the Briscoe Western Art Museum in San Antonio where she oversaw development and membership, PR and marketing, public programs and visitor centers. 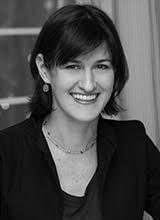 Previously, Jennifer worked as the Director of Development for Leadership Austin and as the Director of Development of Arthouse at the Jones Center (now The Contemporary Austin) and Deputy Director of the Texas Cultural Trust. Before joining the nonprofit world, Jennifer worked in corporate financial planning and analysis. A native Texan, born and raised in Houston, Jennifer graduated from The University of Texas at Austin in 1998 with a Bachelor of Business Administration, major in Finance, and a Bachelor of Arts in Art, major in Art History. In 2005 she completed a Masters of Arts in Arts Management, with a Certificate in Not-for-Profit Management from the University of Oregon. In addition to serving on the Board of Forklift Danceworks since January 2012, Jennifer also volunteers with the Ducks Alumni Recruiting Team at the University of Oregon and is the founder and editor of Beautypendence, an Austin and San Antonio-based beauty blog. Never one to sit still, Jennifer is also a movie buff, restaurant aficionado, college football fan and Formula 1 groupie.